Jayne Bunting Kendall owns The Angler with her sister Julie Bunting Smith, and together they represent the fourth generation of Buntings to operate the 81-year-old restaurant and marina. 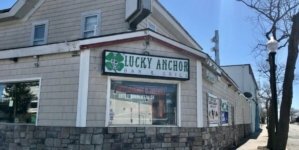 Jayne thinks it may just be the oldest family-operated business in Ocean City. 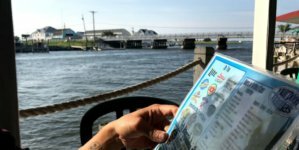 It’s a competitive industry in a seaside vacation town, and hundreds (if not thousands) of restaurants have come and gone over the years. 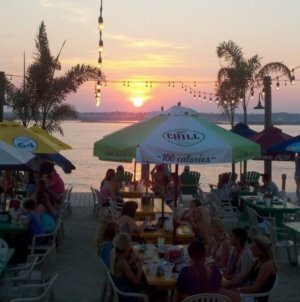 The Angler’s food, Eastern Shore seafood being the specialty, is high-quality, and their bayside views are unmatched. Still, it’s not totally outlandish for one to wonder… What’s their secret to staying in business so long? Her great-grandfather, Charles Rollins Bunting, purchased the property in the 1930s, back when the plot of land was only marsh grass without even a dock. In fact, the Buntings were the first family in Ocean City to be issued a dock building permit. Rollins Bunting owned all the property from where The Angler currently stands, south; he gave his five sons each a parcel of land, putting them in competition with one another as the sons opened up their own restaurants and marinas. 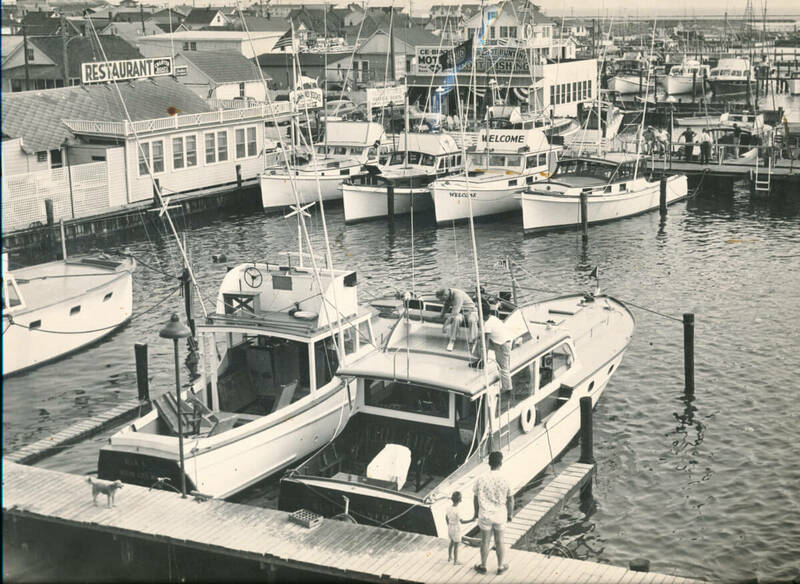 An old shot of The Angler’s marina. One son, William Bunting, erected a small building adjoining his father’s dock, where he sold fishing bait and sodas and rented out small boats. His wife Louise started selling homemade pies, and then breakfast to the fishermen before they headed out for the day. 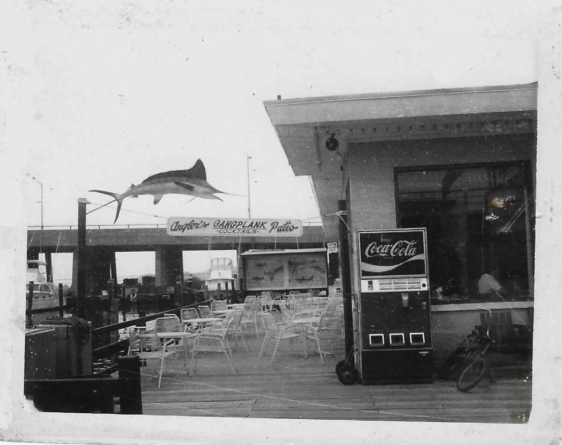 The breakfast tradition at The Angler continues to this day, though most guests enjoy it on the restaurant’s deck instead of a fishing boat, facing picturesque views over the bay and the Route 50 bridge. Business picked up, but Captain Bunting and his boat, The Angler, were called to serve in the Coast Guard in World War II. Upon returning home, Bunting found that storms had washed the dock away, and in 1945, a new dock and addition were built. A tradition of constant updating and refurbishing the business has also continued since The Angler’s early years. After Hurricane Sandy bombarded the East Coast in 2012, The Angler underwent a “total rehab,” much like the necessary reconstruction it endured back in 1945. “We had planned the renovation, and then Sandy helped with the demolition of it,” Jayne said. 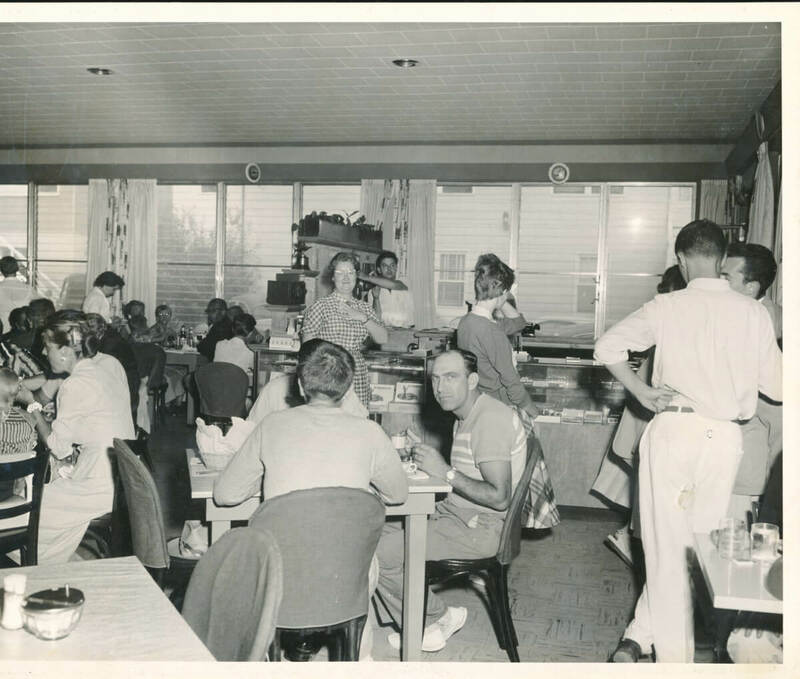 Inside The Angler, circa 1950s. But a quick jump back to the past: Eventually, William Bunting’s son William Porter took over the family business with his wife, Martha. William captained the sport fishing boat during the day, and Martha cooked at the restaurant by night. Their daughters, Julie and Jayne, joined the operation, and eventually came to own and run the business themselves. “We work very well together. We both have our places in what we do,” Jayne said. The family legacy continues well into 2019. This summer, Jayne’s son Porter will come home from college and work in the restaurant, while Julie’s children Meegan Jayne, R.J. and Maura are also heavily involved. The Angler has evolved with the times, but its unmatched views have always remained the same. This photo was taken by Tony Russo in the summer of 2016. It’s the passion that the family has for what they do, along with their ability to work well as a team and thrive in their individual roles at the restaurant and marina, that makes The Angler the success story that it is. 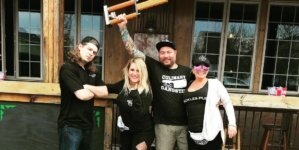 They’ve made many lifetime friendships and patrons over the years, and the two sisters always try to be around in the restaurant because someone is always looking to stop by and say hello. Employees come back year after year, too. A server that had worked at The Angler in her 20s recently came back at age 83, 60-some years later. Jayne usually works in the kitchen, but every now and then she takes the time to step outside on the deck to take in the beauty of the location and decompress. Now, in 2019, new awnings and furniture have been set up and the upcoming season’s musical entertainment has been booked. 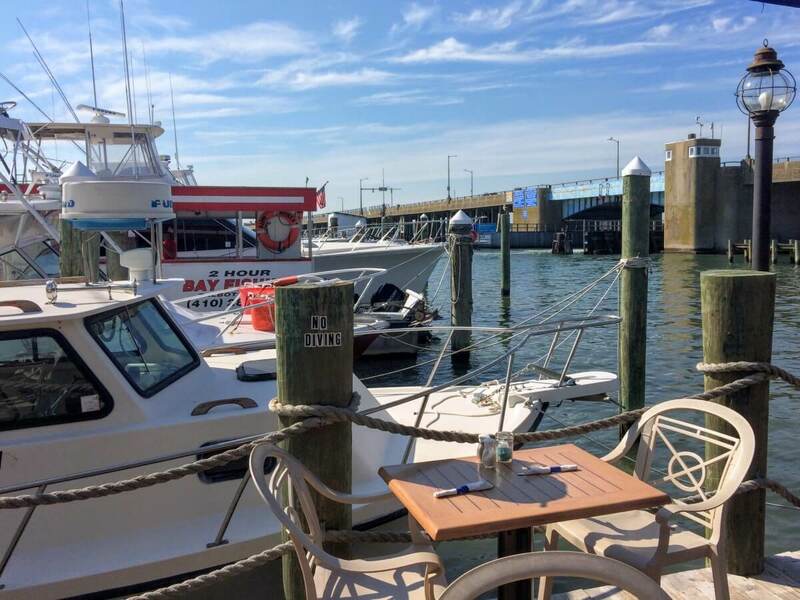 The Angler has been constantly upgrading and evolving throughout its eight-decade history, but the views have remained just as pristine and are best enjoyed with a hearty Eastern Shore breakfast, lunch or dinner. Photos courtesy of Jayne Bunting Kendall.